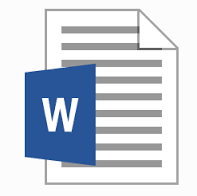 This section contains a listing of the free Microsoft Word tutorials that we've done. In some cases, there are accompanying screencasts to the tutorial or related files. These are noted in the tutorials. The free version does require you to have a Microsoft account. As you might expect of a free product, there are some limitations. You can read more about the different options on the Microsoft site. Printed letterhead is nice, but can be costly. If you don’t print a lot of letters, you might be interested in creating your own letterhead. It just takes a few minutes using Microsoft Word to create a template file with your address and logo. Ever have one of those days where you&apos;re trying to get out an important document, but you find the spellchecker in Word isn&apos;t working? Sometimes you can&apos;t check a specific document and other times you can&apos;t spell-check any documents. Either way, you might try some of these suggested solutions. Sometimes it’s too easy to rely on built-in proofing tools to catch mistakes. Spellcheckers are great for misspelling, but what if your typo resulted in a word that is spelled correctly? There is a feature in Microsoft Word that can help prevent embarrassing mistakes. Conveniences come at a cost and Microsoft Word documents are no different. Some of the features we use can lead to large file sizes. This can be an issue if you’re low on disk space or you need to send these files as email attachments. Many ISPs and companies have a size limit for email attachments. 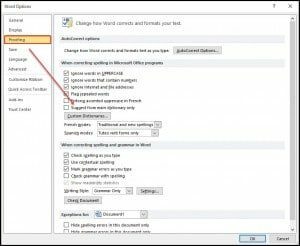 Here are five quick tips to compress Microsoft Word files. If you’ve ever been stumped on how to create watermarks in Microsoft Word, this tutorial will help. 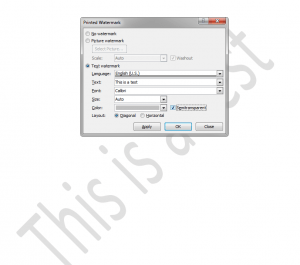 It provides steps for text watermarks but the steps are the same for images. Cornell Note taking is a great way to learn and retain subject matter. The system does require a specific way to lay out your notes which is made easier by using a template. In this tutorial, I’ll show how to make one in Microsoft Word. Few people would argue that Microsoft Word is a versatile program. The problem is that the software may not be the best tool to convert your Word documents to HTML. This is true if you need watch file sizes as it adds code that increases page size. It may also include information you don’t expect. If you need to get your Word content to the web, I’ve got some tips and alternatives. Wrapping text around images in Microsoft Word can be a little bit tricky. 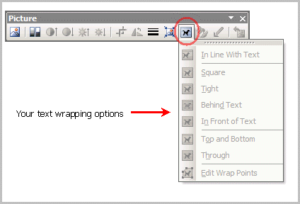 This tutorial shows one way to accomplish the task using the picture toolbar. 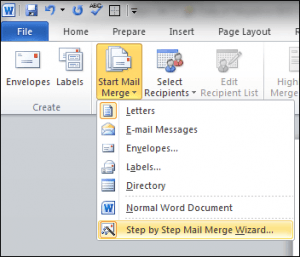 This tutorial shows how to use an input file from Microsoft Excel as the data source to do a mail merge in Microsoft Word. One problem people face is the proper sharing of sensitive information. The information can be anything from contracts, technical specifications, to resumes. A problem arises when you want to show the information, but not all of it for confidentiality or competitive reasons. In other words, you need to hide or remove text from a document. 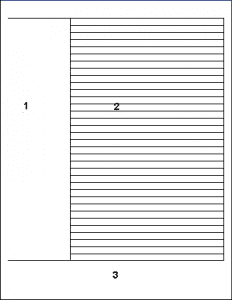 There are right and wrong ways to do this redaction or “blacklining” in Microsoft Word.